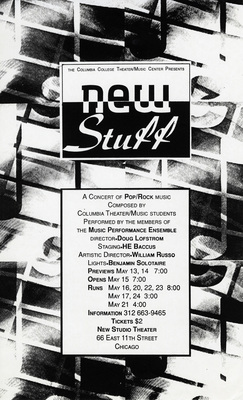 Composed by Columbia Theater/Music Students. Perofrmed by the Music Performance Ensemble. Directed by Doug Lofstrom. Artistic Direction by William Russo. New Studio Theater. Theater, Theatre, students, music, composition.